Excellence in helping clients like you develop strategies to achieve your unique financial goals. 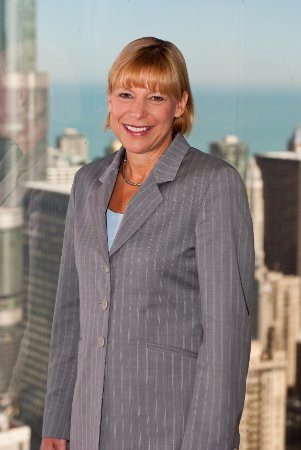 Kim Hawkinson is a Vice President Financial Advisor at Morgan Stanley in the Chicago office. She graduated from Knox College, in Galesburg, Illinois, with a BA in Economics. Kim has always had an aptitude for analyzing numbers, and a long-lived passion to be a part of the Finance industry. Directly out of college she followed her passion to Morgan Stanley, where she began as a Sales Assistant. Throughout her career, she has progressed through diverse roles such as being an Account Executive, Broker, Manager for a Bank Brokage program, Financial Advisor, and now a Vice President Financial Advisor. She has received a Series 7, Series 63, and Series 65 license in order to help service her clients in a multitude of areas. Kim's ultimate goal is to thoroughly understand the financial needs of her clients and align the resources they need to help not just meet, but exceed them. She excels in developing and executing investment strategies that fit precisely for each individual, and addresses any and every concern they may have along the way. She actively seeks alternatives which may provide solutions for both immediate and long-term prosperity. Kim prides herself on consistency, engagement, and efficiency from the commencement of the relationship with her clients. Due to the unique skillset that she has acquired through the depth of experiences she has had within the Financial Services industry, Kim is confident in her ability to actualize the goals of all of her clients.